La prestigiosa revista inglesa DECANTER en su número de agosto recomienda Grandes vinos blancos de Rioja y entre ellos está VALENCISO. DECANTER se publica mensualmente en más de 90 países y su web está considerada como una de las principales revistas de vino on line. 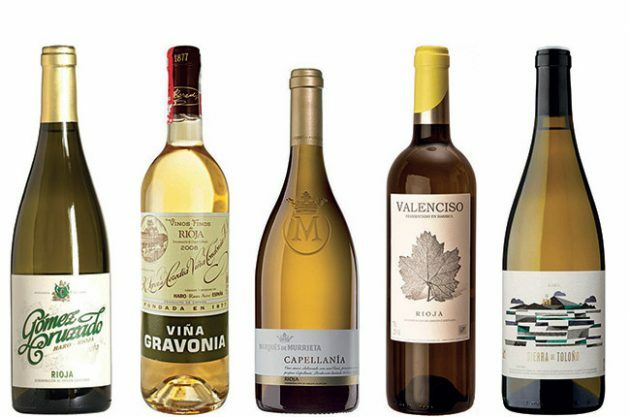 Tempranillo Blanco and Maturana Blanca are both recent additions to the permitted list: the former a genetic quirk found in the vineyard and the latter with a very long history in the region, though it has almost disappeared. The jury is still out on both of these; Tempranillo Blanco’s more recognisable name lends it market appeal, but Maturana Blanca, with its Chablis-like freshness, looks more complex and promising. Then, in small doses for ‘seasoning’, come Torrontés also known as Turruntés (not as in Argentina, but the distinct Albillo Mayor variety); and Malvasía, correctly Malvasía Riojana, and known as Alarije in Extremadura, and Subirat Parent in Penedès, where it sometimes turns up in Cava. Garnacha Blanca is a useful element in blends, giving texture without insipid florality. Practically all of the wines in my selection here are 100% Viura or Viura-dominant. What distinguishes them more clearly is their use of oak.